I hope you are having a day full of LOVE! I thought it only fitting to share a bunch of blocks I recently made for our Do Good Stitches Circle! I don’t think this whole bunch took more than a couple of hours… In hindsight, I wish I’d made more before I put my pink stash away. I would have made myself a pillow! Dhia is this months quilter and chose the blocks. 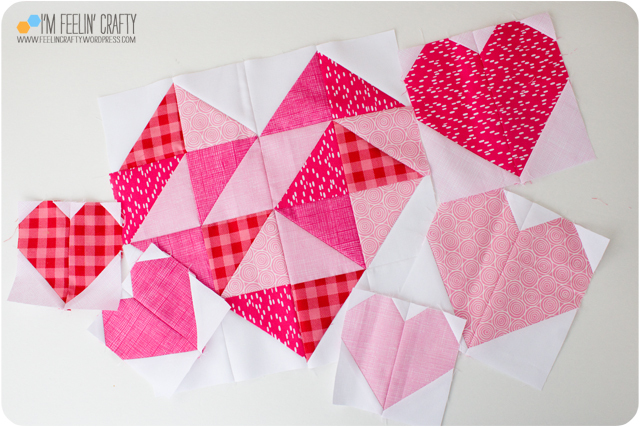 For the large block we could choose between two different blocks, the hearts from Michael Miller’s Cupid’s Arrow quilt or the Be Good To Your Heart block from Diary of a Quilter. 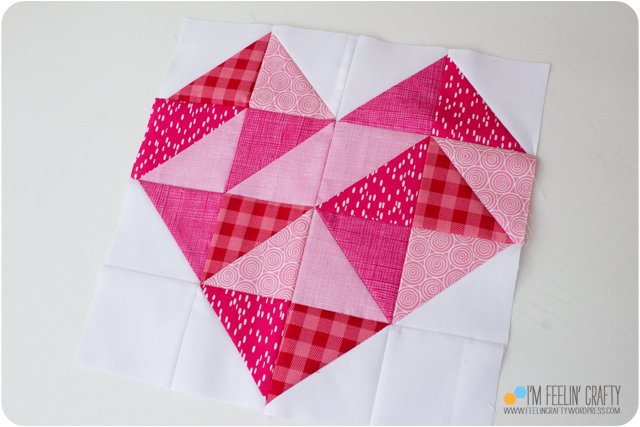 I choose the Michael Miller heart and used the direction on Dhia’s blog! You can download the whole quilt pattern by Tamara Kate here. And then we made 5 small blocks using the pattern from Cluck Cluck Sew. And you can get instructions for different sizes here. 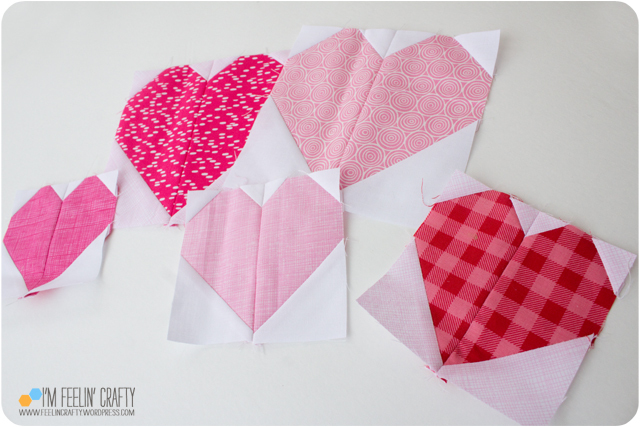 If you are able to sew today, sew up some hearts! Have a great Valentine’s Day!